Are you one of those people who can’t help opening emails, even when you don’t know who they are from and suspect the email might be spam? Or worse, do you actually waste your time responding to people and telling them not to bother you any more with their offers to get your website on the first page of Google, send you cheap pharmaceuticals or get you a date? Don’t waste time responding to emails that you should just delete. With a little practice you can get your delete button working much quicker, saving you time and aggravation. Some spam is obvious and your junk mail filter will pick it up. Other emails somehow get through the filter, but are just as obvious from their title and you can simply run through the list and delete. But what do you do with those that look like they might be legitimate? The Australian Communication and Media Authority is the government entity responsible for monitoring anti-spam compliance in Australia. Despite the difficulty in navigating their website, they receive an average of 27,350 Spam Act breach complaints per month (ACMA Spam statistics January 2015). 100% of complaints currently under investigation relate to lack of consent. You can add your spam complaint to ACMA’s ever increasing list simply by forwarding spam-SMS to 0429 999 888 or emails to the Spam Intelligence (oxymoron right there) Database at report@submit.spam.acma.gov.au. Unfortunately that isn’t going to solve the problem. Of all the complaints received, only about 1 investigation per month gets finalized. An average of only 570 informal warning letters per month are sent out to offenders. Since the beginning of 2015, ACMA has only taken formal action against two companies – Club Retail and GoDeals. Club Retail has been required to establish a double opt-in system for adding people to their email lists and GoDeals have been warned to ensure their unsubscribe system does work and people who unsubscribe don’t continue to receive their emails. 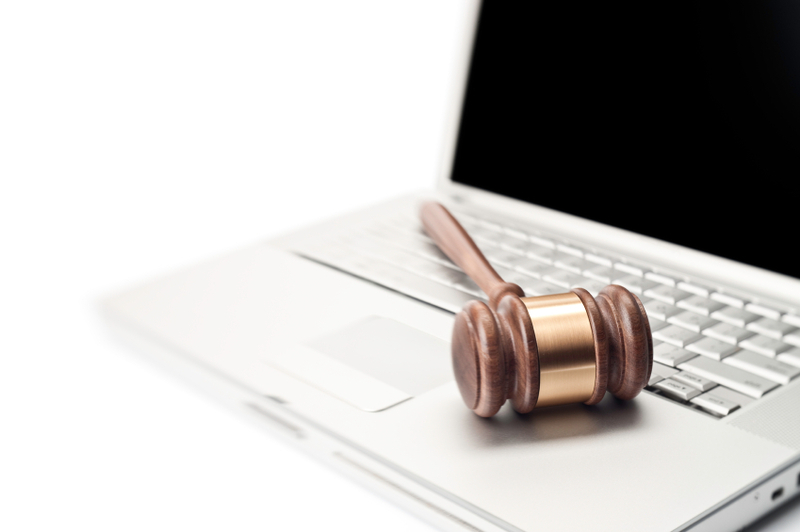 Under the legislation, ACMA can issue informal warnings, formal warnings (which require a business to take action in a specified time-frame, or else), enforceable undertakings (the alternative to being fined), infringement notices (fines) or start court action. Fines can be as high as $1.7 million for repeat offenders. What this means for your inbox? 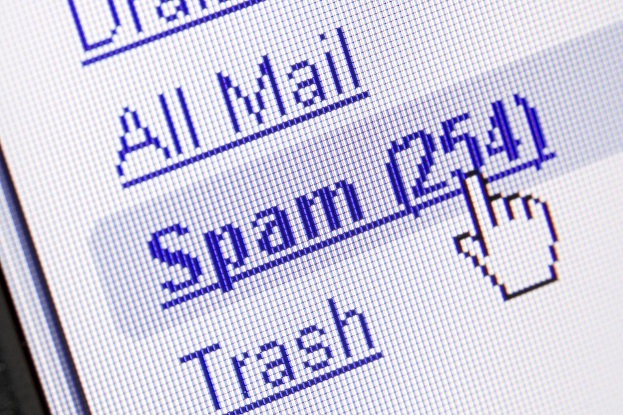 Unless the company sending you spam SMS or emails is doing it at a high volume and there are lots of complaints to ACMA, or they have a big enough business to make it worthwhile to threaten them with fines, your most effective course of action is to mark the email as junk mail, block the sender and hit delete. 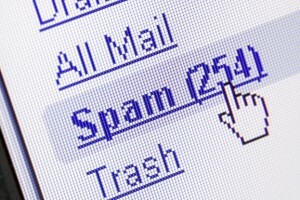 So, how can you tell whether an email is Spam or not? Junk email that is not anti-spam compliant. Do You Know Who Sent You The Email? If your email system shows that you’ve received an email from ‘Hugh Jackman’ you might suspect that its spam. But if you get an email from say ‘David Thompson’ or a name of someone you think you should know, then you might be more inclined to open it. 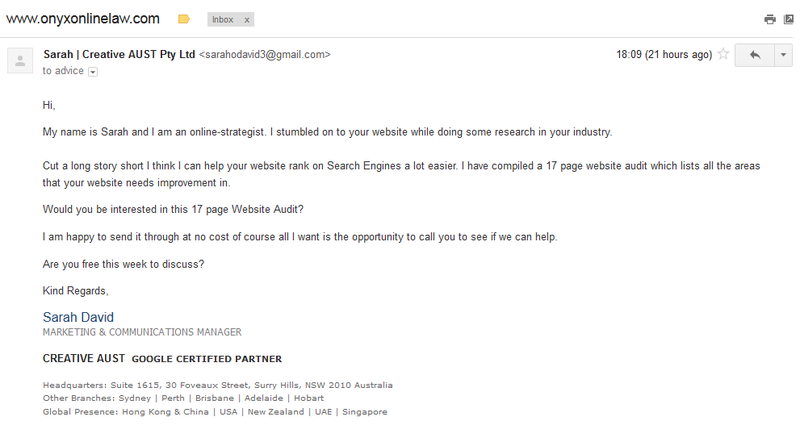 Have a look at the email I received recently from Sarah and Creative AUST Pty Ltd. Sounds like someone I could know, fairly innocuous and looks official with the company name alongside. If you have any hesitation, a quick online search of the sender will bring up Facebook and LinkedIn results and a bundle of images associated with the name. If it really is someone you know, or should know, you’ll find out quickly. No time wasted in deciding whether or not to take the message seriously. I recently received an email from Jade Capital, a company that sounded legitimate and who’s email looked like something I might possibly have agreed to receive. When I searched the name of the sender, I couldn’t find any details linking them with the company. Nothing. Delete. It was a useful conversation, for both of us. Does the email address match the Sender Name? The first thing I check is whether or not the email address next to the name is even remotely related. In this example, the alarm bell starts ringing immediately because the email is a fairly stock standard gmail address rather than a proprietary site address. Depending on what email system you are using, you might also be able to hover over the email address of the sending and check the hyperlink to see that the listed address and the actual address are the same. This is easy in Outlook but not straightforward in Gmail. If it the hyperlink is different – delete. Who was the email addressed to? If your name or one of your usernames appears in the salutation of an email, there is a good chance you signed up to receive communications somewhere along the line, even if you don’t remember it now. If the name is just what comes before the @ in your email address, it could either be something you signed up for, or it could be spam. It is possible that your email address was picked up by a robot scraping email addresses from different sites across the internet. If the salutation is generic, ‘Dear Friend/ Business Owner’ or simply ‘Hi/ Hello’ or no salutation at all, then there is a higher chance that it is spam. Is the company sending the email legitimate? DO NOT click on any links in the email. That is possibly the quickest way to get a virus into your system. If you want to check a company, open a browser and search it! I have seen some rather clever operations that have established company websites to support their scamming emails, but they are relatively easy to spot. The language on the site tends not to read well and other search results don’t tend to support the business details. You may need to do a little digging with international companies. The quickest way to check a company out is to call a telephone number listed in their email. If it is a legitimate business and you get through, at least you know. They might even appreciate the feedback that their emails look like spam. Next check the address. In this attached email you can see that headquarters are identified as a Sydney address. A quick search of the address shows that it doesn’t even exist. Yes, there is a Foveaux Street in Surrey Hills, but there is no number 30. At number 28 there is a college listed, and then another business from number 38. Any legitimate company will include an appropriate address in their emails. If the address is not real, the company probably isn’t either. Just be aware that in Australia the use of PO Boxes is legitimate and accepted. In the US, their anti-spam compliance seeks a street address. For a lot of small businesses set up by people working from home, that just didn’t work, so there are companies in the US that provide bulk site addresses rather than proper street addresses. So this search might not give you a definitive answer. And if you are still worried about whether or not the email you’ve received is legitimate? Perhaps you should ask yourself how the message helps you in your business and whether or not it is worth your time. If it is potentially an incredible lead, or something you do want to follow up and you continue to be concerned, we can help investigate further. For more information on working with us to protect your online business, please contact-us or book a short advice strategy session.